Grandma Kate makes over 300 beanies each year (almost one a day) and still manages to make Noah's Ark Afghans and dolls and doll dresses for her 3 daughters and 7 granddaughters. 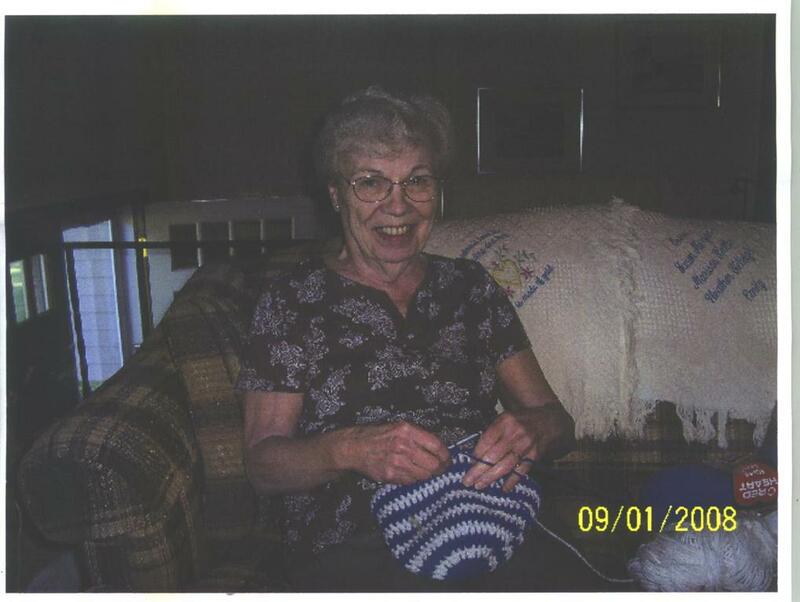 Grandma Kate sent a note with the 47 beanies we received in May, 2011. She made #2,000 green and white "(Because I'm Irish)". Thank you Grandma Kate - We look forward to receiving more of your beanies!